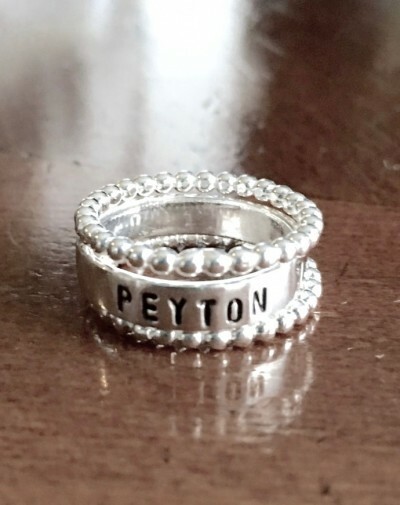 Beautiful set of three stacking rings personalized with a name, date or word- customize a ring for graduation gift, mother of one or anniversary to cherish a lifetime. 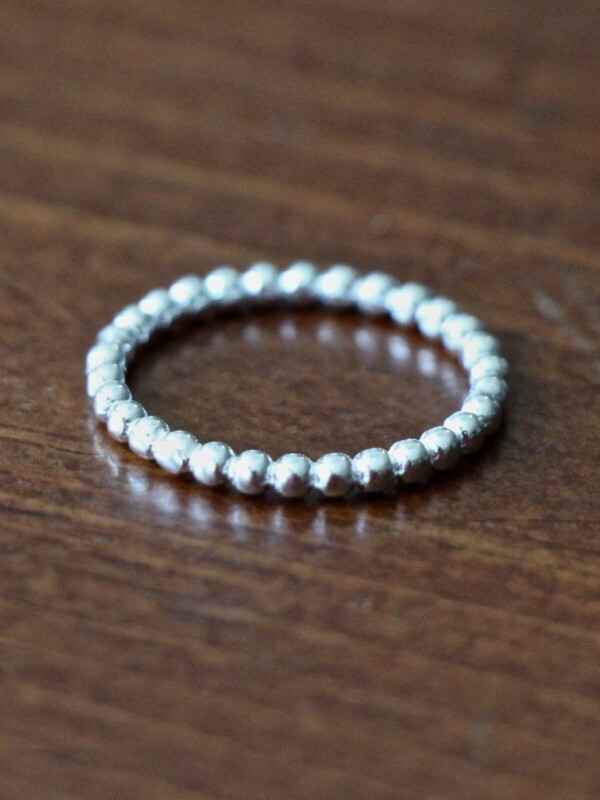 One hand stamped 4mm ring- personalize with up to 12 characters. Categories: Collections, Graduation & Teacher Jewelry, Hand Stamped Rings, Mom and Grandma Gifts, Moms, Sisters, Aunts and Friend Gifts, new, Rings, Stackable Rings. Tags: graduation ring, mom of one, stackable name ring set.